FUNky Fab T-Shirts, Creative Art, & Paint Parties! Our mission at Happy Hooplala is to sprinkle peace and love wherever we go with our Original designed T-Shirts and Funky Creative Art!! Our Paint Parties are so much fun and we offer a variety of themes, mediums, and supplies to work with, including canvas, wood, burlap, paint, rocks, metal, fabric, paper, glass, and so on! BOOK your own PRIVATE PARTY or BIRTHDAY PARTY or LADIES DAY or NIGHT OUT PARTY! Need a GIFT? Not sure what to get? 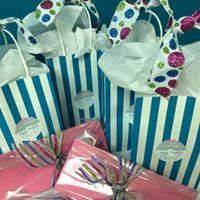 GIFT CERTIFICATES for our merchandise and Creative Classes are always a perfect option!